Houston is a fairly young city, but contrary to popular belief, Houston does have history. Unfortunately, that history is slowly disappearing in many areas. A good example of this is in my own neighborhood – East Montrose. East Montrose was originally bungalows, duplexes, and farm houses built from the late 19th century until the 1930’s. Unlike the cookie-cutter suburbs, most of the older homes are unique, with only a handful looking alike. 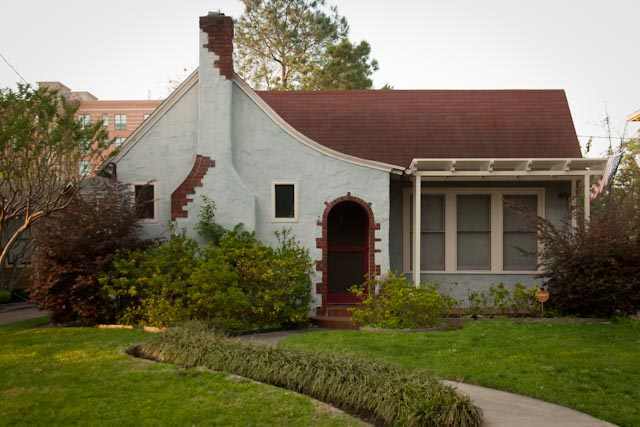 I’ve only found one other example of a home that looks like my own 1930’s home, but it is in another neighborhood about 2 miles away. The photos below are of my 1930’s era bungalow. I’ve lived here since 2002. The previous owner gutted it to the studs and remodeled it around 1989 in the Art Deco style. Over my fireplace mantle is a 1940’s glamour shot of a previous long time female owner of the home. The photo will be passed on to future owners if I ever decide to sell the home. 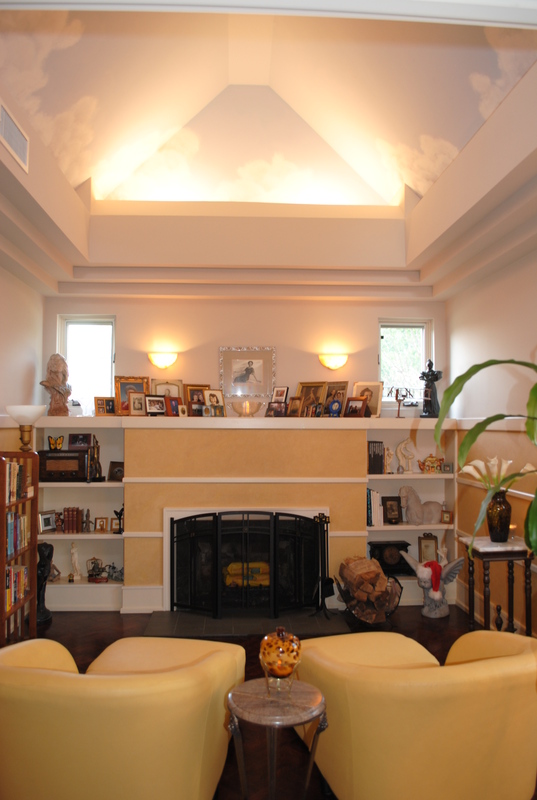 Older homes may be small in comparison to new town-homes, but what they lack in space, the make up for it with charm! Some of the older homes in East Montrose were torn down in the 1950’s and 1960’s when the suburban flight phenomena was at it’s peak. The homes in the area were cheap, so commercial businesses moved into the area. The original deed restrictions had also expired, so there was nothing to stop them. The few neighborhoods in the area that still had deed restrictions in place did not have this happen. Many neighborhoods in the area with larger lots experienced the original home being demolished and replaced by small apartment projects. Houston’s lack of zoning also contributed to the commercial intrusion as well. In the last 30 or so years, the inner-loop neighborhoods have become more and more popular, and the land has become more and more expensive. This means that the land has most of the value, and the buildings themselves have less value. Lot size is king. Older homes that have not been substantially updated have become targets for developers. Where once a single family home or duplex stood, now two (and sometimes more) multi-story townhomes stand instead. There are a few single homes being built as well, but only a few. The older homes are disappearing at an alarming rate. In order to document the existing older homes that are still around, one of my neighbors has created a blog showing the older homes that still exist in East Montrose before they slowly disappear. EastMontroseCool | Taking a walk on the cool side of Houston. Luckily, there are still people around that love the older homes due to their unique character, charming quirks, and history. The older homes that have been substantially updated are snapped up as soon as they come on the market at much higher prices than homes in original condition. This entry was posted in "houston real estate", Houston, houston real estate, inner-loop market, quirky tourist attraction, real estate, Texas and tagged Business and Economy, Construction and Maintenance, East Montrose, Houston, montrose, Single-family detached home, Texas, United States. Bookmark the permalink.